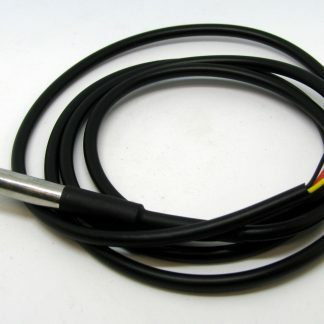 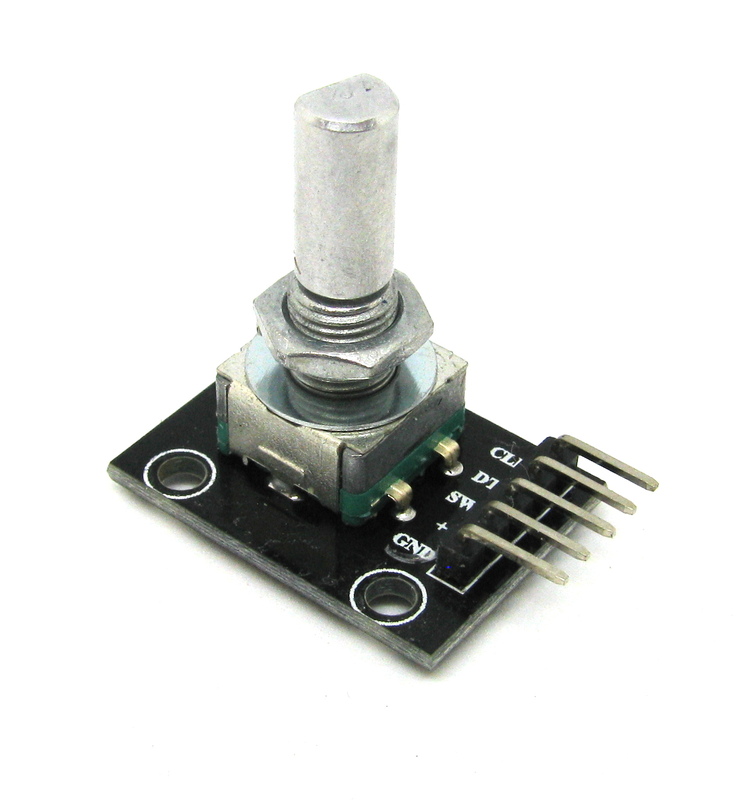 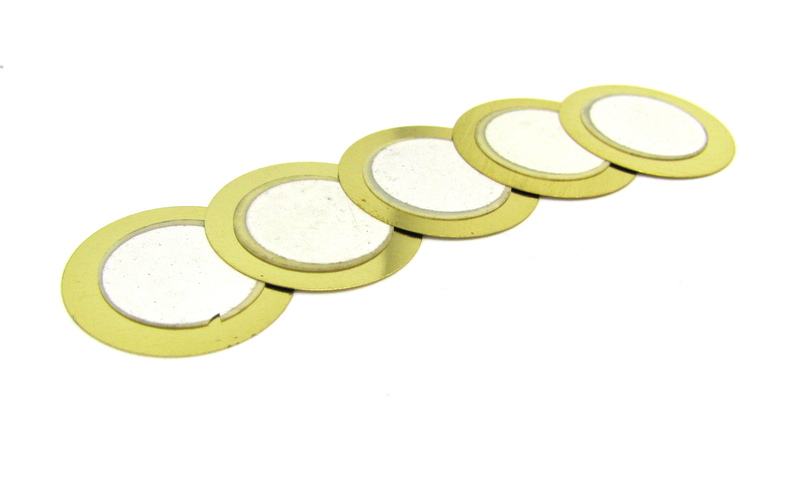 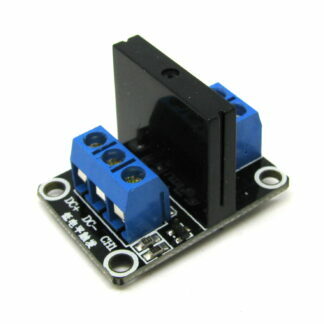 The rotary encoder can count the number of pulses output in the forward and reverse directions by rotation, and the rotation count is not like the potentiometer. This rotation count is not limited. 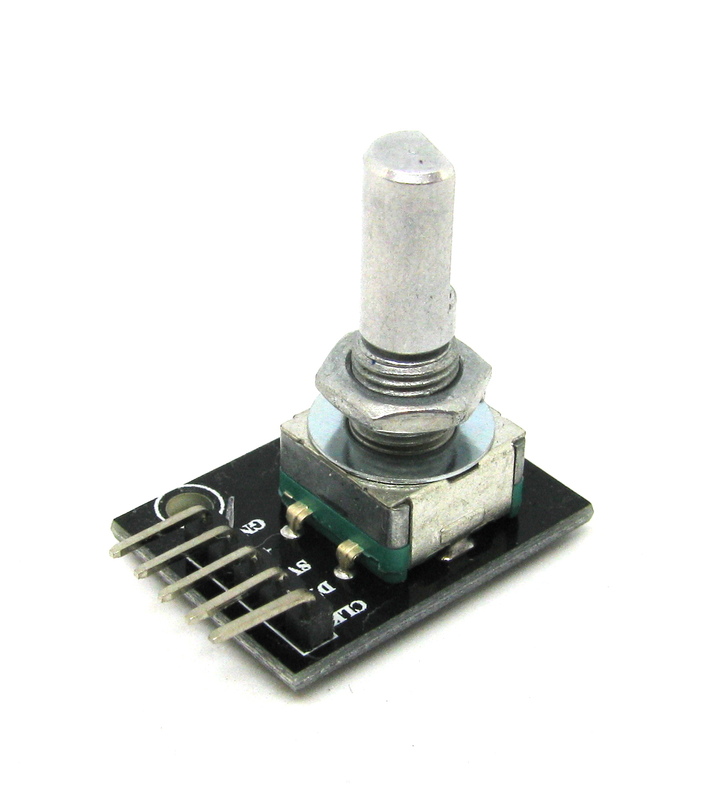 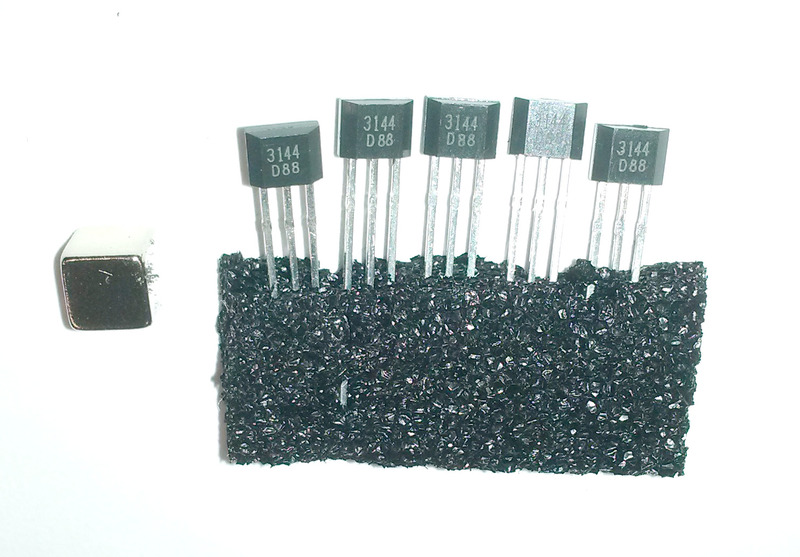 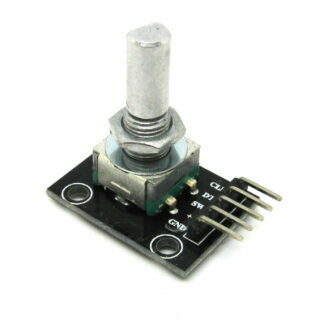 With the key on the rotary encoder, you can reset to the initial state, that is, counting from 0.